Offering a unique perspective on vehicle design and on new developments in vehicle technology, this book seeks to bridge the gap between engineers, who design and build cars, and human factors, as a body of knowledge with considerable value in this domain. The work that forms the basis of the book represents more than 40 years of experience by the authors. 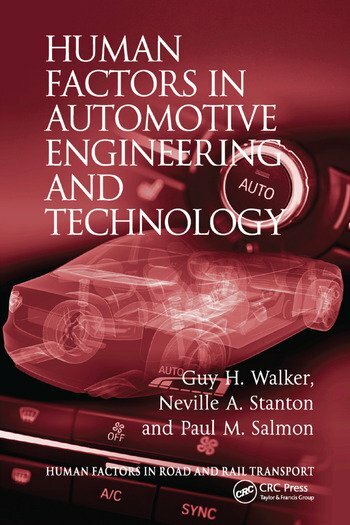 Human Factors in Automotive Engineering and Technology imparts the authors' scientific background in human factors by way of actionable design guidance, combined with a set of case studies highly relevant to current technological challenges in vehicle design. The book presents a novel and accessible insight into a body of knowledge that will enable students, professionals and engineers to add significant value to their work. The Car of the Future, Here Today. A Technology Timeline. Lessons from Aviation. Defining Driving. Describing Driver Error. Examining Driver Error and its Causes. A Psychological Model of Driving. Vehicle Feedback and Driver Situational Awareness. Vehicle Automation and Driver Workload. Automation Displays. Trust in Vehicle Technology. A Systems View of Vehicle Automation. Conclusions. Appendix. Further Reading. References. Bibliography. Index.